In classical computing, data is stored in bits. These bits can exist in one of two states – 1s or 0s; off or on. Quantum computing, on the other hand, uses “qubits” (quantum bits). Unlike bits, qubits can store more information than just a 1 or 0. They do this because they exploit unique quantum features and can thus exist in 1, 0 or asuperposition of these values, allowing a qubit to be in both states at the same time! A detailed explanation would get us mired in quantum mechanics which even Einstein called “spooky”. For our purpose, imagine a sphere where in the classical state, the 1 and 0 are at the poles. A qubit, on the other hand, can be on any point on the sphere, thus making a quantum computer much more powerful. And, because qubits can be in multiple states at once, they exhibit inherent parallelism. That means while your current computer can work on one thing at a time, quantum computers can work on millions of things all at the same time. In 1981, Richard Feynman, the Nobel Prize winning physicist, first proposed quantum computers. Experts see quantum computing as a major disruption to computing. According to Purdue University President Mitch Daniels, whose university just signed a 5-year quantum collaboration agreement with Microsoft, quantum computing is “another explosion of computing power like that brought about by the silicon chip”. 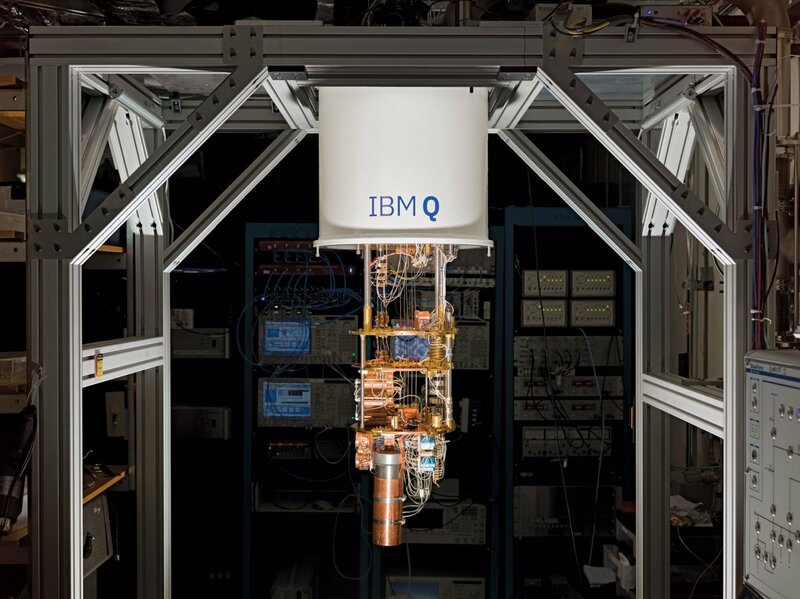 IBM with IBM-Q (quantum computing as-a-service), 1Qbit, Rigetti Computing, Intel, Microsoft, AT&T (working on quantum networking with CALTECH) etc. – have all jumped in the fray. NSA is said to be building its own quantum devices, and In-Q-Tel, the venture company funded by the CIA, is also in on the game. Google is looking to get to a 49-qubit processor by the end of 2017, a landmark breakthrough that would double current 20-qubit processors. Softbank’s $ 100 billion Vision Fund is actively searching to back the next “Microsoft” of quantum computing. Most experts now agree that building quantum computers is now an engineering challenge and not a conceptual one. Initially, quantum computers are likely to be used to crunch really large data sets – something they do very well. Cancer research, drug design, financial portfolio design, genetic engineering, weather forecasting, particle physics – will all be positively impacted. How do you code a quantum computer? Companies are busy developing tools to code such devices. Microsoft is developing LIQUi|> (pronounced “liquid”) for execution on a quantum computer. On the downside, due to superposition, programmers will not be able to observe the path that their data takes from input to output, making debugging a serious complication. While quantum computers are expected to lead to astounding breakthroughs in medicine, manufacturing, artificial intelligence, machine learning etc., rogue states or actors could also use quantum computers for destructive purposes too. Most current cryptography that drives online commerce, banking etc., is dependent on using complex math problems that are too difficult to solve in a realistic time period by today’s computers. But that is not so for quantum computers. In fact, they are especially good at that kind of thing. The non-profit Cloud Security Alliance says that within 15 years, all PKI (public-key-infrastructure) which drives online security, would be broken with devastating effects on global economy. The Global Risk Institute in its own study, says the same thing. NIST has begun a 4-6 year public evaluation of quantum resistant cryptography. Some companies are already working on quantum-resistant encryption using qubit-cryptography. Google is one of them. Last week, China launched “Micius”, the first quantum technology satellite, which they say is unhackable. A new era of computing is just over the horizon. And as we grapple with information security challenges with the computers we have today, the hope is that effective quantum computer security will strengthen and not further weaken our digital worlds. 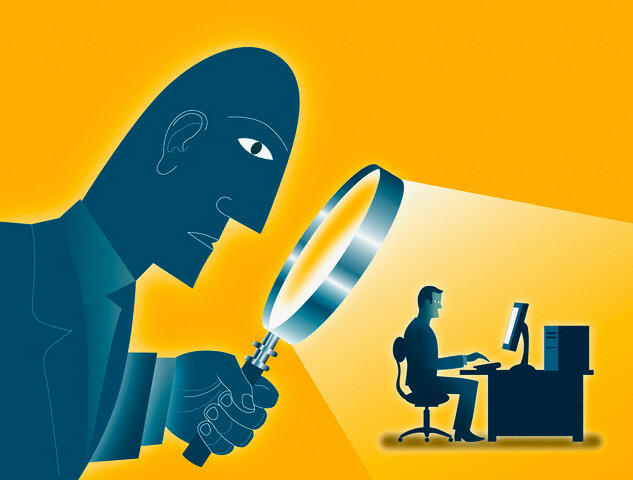 On May 25, 2018 – less than a year from now – the EU will put into effect one of the most far reaching and punitive measures dealing with digital privacy. The General Data Protection Regulation (GDPR) is literally privacy on steroids and far beyond what we have ever seen. A long list of identifiers (aka Personally Identifiable Information or PII) now fall within the purview of this regulation. In addition to the more recognizable PII like name, gender, sexual orientation, location data, economic, cultural, and economic data etc. we can now add IP addresses, genetic information and even bio-metric data. Further, any EU resident may request access to their data and is entitled to enforce the “Right to be forgotten” whereby their personal data must be erased. The catch is that such erasure needs to occur from every instance where such data may have been shared! In cases where the data is deemed to be inaccurate, the data subject can enforce the “Right to restrict the processing of personal data”. Data subjects have the right to data portability and even to object to be evaluated on the basis of automated processing systems. The list is very long indeed. The law applies to any company doing business in the EU, and not just for companies based in the EU. Breaches must be disclosed within 72 hours and if you have second thoughts about complying with the regulation, consider the penalties: 4% of global gross revenues or € 20 million – whichever is higher! Based on 2016 revenues, a fine for Apple would be $ 8.6 billion. Think they are not going to take this seriously? Unlikely. By some estimates fully 95-98% of US companies doing business in the EU, are not prepared and are not on track to become compliant by May, 2018. A frightening prospect. On April 3, 2017, while the country was occupied with the latest crisis headlines, President Trump signed the repeal of the internet privacy rules into law. There wasn’t even a comment from the White House and no photo opportunity of the President signing this law. Very few even noticed. The resolution passed by a 50-48 vote in the Senate and 215-205 in the House. The repealed internet privacy rules had been aimed at preventing internet providers from selling personal data without permission. This battle, which had pitted large internet service providers and tech giants against consumer advocates and privacy rights groups, became history, and those ISPs that were interested in selling private data, won the day. Privacy took a blow to the nose. In one report, consumer and rights advocates were outnumbered 50:1 by the lobbyists for their opponents. Critics of the rules had argued that this was an example of government overreach. One of the arguments for eliminating the rules was that these rules “would cause consumers to miss out on customized promotions”. Now experts argue that these huge new databases of personal information are likely to become targets for hackers, law enforcement and spies. The tide of consumer complaints, as more citizens become familiar with what has transpired, is now causing some lawmakers to consider the repeal of the repeal of the internet privacy rules! Time will tell. What is a large multinational that is doing business on both continents to do? EU residents want to enhance privacy and here in the USA, we have just shredded it. With this diametrically opposed cauldron of laws to deal with, how should companies respond? Unfortunately, this is now a very confusing and contradictory landscape with no quick and easy path to resolution. This week, Angela Merkel, the German Chancellor called for international regulations for the digital world. She went on to say that the US and Europe need to work together to ensure sensible rules because the “standards had been very erratically set so far”. For many companies, the statements resonate but a collaborative approach between continents is an elusive dream. In the meantime, global companies must deal with a bipolar set of regulations making compliance a nightmare scenario.